When the family appears a little kid, his parents constantly worried. They worry about how long the baby sleeps, it doesn't hurt if he had a tummy. One of the most important things of interest to young parents, the question is, how many times a day is required to feed the newborn. Who is considered to be a newborn? Novorozdennogo is the concept of medical. It is used in relation to a child aged from 1 day to 4 weeks, regardless of whether he was born full-term, preterm or post-term. Because at the time of birth stops the direct supply of nutrients from mother to child in the body of the baby begins the complex process of formation of the gastrointestinal system and its adaptation to extrauterine life. Consider that the majority of children in the neonatal period is children, whether breast-or artificial feeding. Fundamental differences in the amount and frequency of feedings babies and iskusstvennomu no, as used in the second case of a mixture close in composition to female milk. How often should I feed a newborn, and how much he should eat? In answering this question, remember that the functionally immature digestive system of the newborn since the first day of extrauterine life carries a heavy load. The stomach of the infant seats a total volume of 10 ml, by the end of the neonatal period it reaches 90-100 ml, the esophagus has a weakly developed musculature, length 8-10 cm, diameter 5 mm, mucous tender, easily vulnerable. Glands that produce digestive enzymes in the stomach and intestines are poorly developed. But the gut is longer than that of an adult. It is understood that any violation of the rules of feeding easily causes a disturbance in the gastrointestinal system of a baby. When determining the frequency of feeding of the newborn must proceed is that the child will not eat more than necessary. This means that you will not be able to overfeed. This fact has a downside: the body of the child is aimed at a constant flow of nutrients. Thus, it is clear that feeding frequency will be determined by the duration and sufficiency of the amount in the previous meal. Mothers know that the child during feeding to sleep, failing to eat well. It should also be noted that human breast milk is low calorie and low fat. So it can begin to experience the hunger and half an hour after the previous feeding. However, this does not mean that the mode of feeding no. Doctors recommend to feed the baby to the neonatal period from 8 to 12 times a day. The interval between feedings should average 3 hours. But if the child is restless, wants to eat, it makes little sense to strictly keep to this regime. 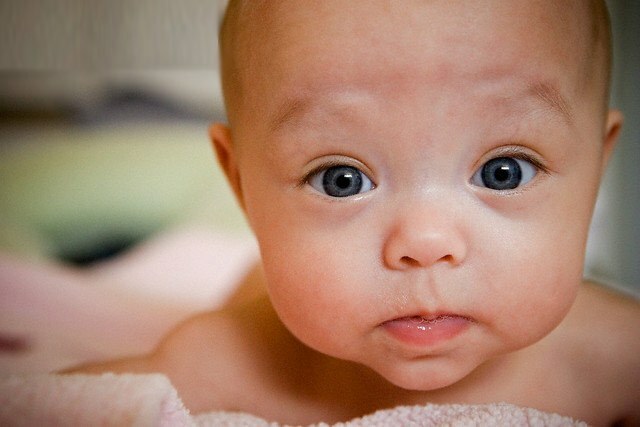 The most important thing that the baby is properly gaining weight, was calm and developed in accordance with their age.